Get to know Willie Pipkin with us. Willie has more residencies going on that anyone I know and somehow he seems to add more. This guy is all about the music. When he isn’t playing, he is out watching. It’s really cool that if I’m not seeing an act with Mr. Pipkin playing, chances are he is in the crowd. In fact, a few years ago when I was getting this paper started, I used to often be at Blue Monday at Antone’s. Week in, week out, there were like 5-10 regulars, the Kung Fu Dancers were my favorites, but Willie, dreadlocks and all, was usually there. So is Willie Pipkin my favorite local guitar player? I can’t answer that because I have so many and I am out there digging them every night. I can say that my Sundaze ritual has been to see him play at Sinner’s Brunch. He is also a side gun for Toni. If you haven’t seen this guy, please change that. He’ll be a name that everyone will know soon. Thank you Willie for the time and the words. Thanks to Greg Etter, John Grubbs and CC Bonney for making this happen. 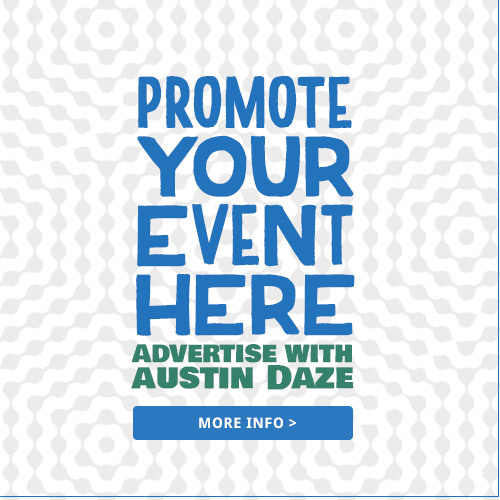 AustinDaze: Why do you do what you do? What kind of drives you to be a musician? Willie: Lately, it is just who I am now. I play almost every night of the week, and I just fall in love with it more and more every day. I love playing guitar. More today than I did yesterday. That’s just what drives me. It’s just become who I am. What used to drive me really was all the players here in town, like Derek O’Brien, Jimmy, Johnny Moller. Guys like that, I just dug their sound. I always strived to get to that level. I’m still trying to get to that level. But now, I just relax and play. It has become what I do. AustinDaze: When and how did you start to play guitar? Willie: I started at 15 years old. My father owned a baseball card shop with Clifford Antone of Antone’s. I used to go up there and hang out with my dad, and I met Clifford through him, and other musicians that used to hang out at the card shop. One night Clifford took me into the club, which was right next to the card shop, and I heard some blues. I knew that night that that’s what I was going to do for the rest of my life. I fell in love with it immediately. So I threw away all of my hip hop records and bought a guitar. I actually got my first guitar lesson from Kim Wilson from the Fabulous Thunderbirds, even though I didn’t really know who he was at the time. That’s who taught me my first Jimmy Reed turnaround and everything. That’s when I first started playing. AustinDaze: When you first started, were you just interested in blues, or country, or what first? Willie: When I first started, it was nothing but blues music. There is so much great music happening in Austin, that’s what I got into. I really got into Derek O’Brien. I would buy records that he produced or played on, and would just go home and play along with him trying to figure out how he did what he did. So it was always blues for me at first. And I always loved country music. Since I got out of high school, I fell in love with country music. I play it a little bit, but blues is my main thing. All the other stuff kinda came later. When I first started playing in bands, I had a punk rock band called One Trick Pony. We would play just punk rock music, because friends my age they didn’t care for blues, it wasn’t their thing. So I would just adapt to them. Out of that punk rock band turned into a country band, backing up a guy named James Hyland. Then that country band turned into a bluegrass band that became South Austin Jug Band. So I spent most of my 20’s trying to play bluegrass music and acoustic music. Which gave me good acoustic chops to where I could play blues and folk music, and country and bluegrass. Kinda like what I do with Toni Price now. That whole Jug Band thing got me there. But it’s always started with blues, and will always end with blues. AustinDaze: There are some obvious gigs that you have: Little Elmore Reed on Mondays that you do weekly, you do Sinner’s Brunch at Jo’s almost every Sunday, Toni Price every Tuesday, Warren doesn’t do it all that often any more, but you do the Brew Birds on Sunday night, Tameca on Thursday. What are the ones we don’t know about? Here’s a good question: There are a lot of Austin musicians that have day jobs, which is just the reality of some situations. But I don’t know that you do, do you just play? Willie: Yeah, I’m just a musician. AustinDaze: How many gigs do you have to do a day for this to work? Do you try to do two or three daily, or does it just work out that way? Willie: It just works out that way. Right now, I have 5 and a half weekly gigs, or is it six? Five and a half I think right now, because Warren is only doing the Brew Birds once or twice a month. But it just happened naturally. I know so many people here now. People just call me, you know? AustinDaze: What are the ones we’re missing? There’s Peacemakers on Wednesday. Willie: So, it’s every Sunday here at Jo’s, Monday with Little Elmore Reed Blues Band, Tuesday night with Toni Price, Wednesday night with the Peacemakers at Evangeline’s, Thursday night with Tameca Jones. Then the weekends are wide open for me to play with Warren or Tameca. Both of them always have something going on the weekends. But I also get calls from guys to play pick up gigs, like Travis Green, who is a singer here in town. He’ll just call me randomly wanting me to play with him. Or Paul Minor calls me up to play with the Texas Tycoons. Just random stuff like that. And then guys will come in from out of town looking for a guitar player. A lot of times I get to back up guys like harmonica players coming to town looking for a guitar player. I’m on a list of guys. AustinDaze: One obvious one is Lazy Lester. You got to record with him? Willie: Yeah, I did a little bit of recording with Lazy Lester. He’s making a country music record here in town. He came to town a couple of times. I got in on one of the sessions, so hopefully I’ll make the record. We pulled in Warren Hood as well. AustinDaze: Tell us the story of how you met Lazy Lester. Willie: I got lucky. Every time Lazy comes to town, he stays with Grady Pinkerton, who is a great guitar player here in town. One night Grady came out to one of my gigs, and we were talking about Lester and I was just telling him how I love Lester so much. And he said, “Well next time Lester comes to town, why don’t you come and be in the band?” That just floored me. I was like, “I would love to do that. If it doesn’t work out, that’s cool, and thanks for the offer.” And so we left it like that. Then a couple of months later, Grady called me and said, “Hey, Lester was in town. I think you’d be great. Come out and play with us.” So I went out and played with them. Then it turned out that Lester wanted to do some recording. So I just happened to be there and played some with him. Like I said, I just got lucky, thanks to Grady Pinkerton for that. It was just a great honor to be able to do those gigs with him. AustinDaze: You tour all over the country and all over the world, what makes playing in Austin so special? Willie: You know it’s just the other musicians I get to play with. Everybody brings their own unique thing to the music. That’s my favorite thing. Last year, I did a lot of touring with Warren Hood and Hayes Carll and Emily Gimble. That was fun and all, but right now I’m so busy in Austin. And I just love it, because I get to play with all these amazing people. Like today, we had Greg Izor fronting the band. Greg Izor is a world class harmonica player, blues player. It’s such a great pleasure to play with him. Sometimes it’s Emily Gimble, who is one of the best singers you’ll ever hear. I get to play with her, I get to play with Tameca Jones. The list goes on and on. So that’s my favorite thing, it’s just the community we have here in Austin. And all the world class musicians I get to play with every week, it’s just amazing. AustinDaze: What is going on when you and Eric are playing with Tameca? Sometimes it’s like, not really a competition, but sort of throwing things back and forth with each other. Willie: Yeah, me and Eric Zapata get to play together on the Tameca Jones gig. It’s just a pleasure playing with him. He’s just another type of guitar player that when I play with him, I have to step up. He’s another world class musician. We both have fun, because we’re both guitar dorks. We spend all day every day, me and Zapata, searching out old gear, old guitar effects pedals and everything. So when we get to play together, we have so much fun. AustinDaze: So Austin’s been growing, obviously, over the years. How has that affected the life of a local musician? Willie: The unfortunate part about it is that rent has gone up so really high, and property values have gone up. I don’t see me ever being able to buy a house here any time soon. That’s unfortunate. And rent, you gotta live on the outskirts of town now. All that’s unfortunate. Maybe the positive thing is that there’s more people, hopefully they’ll start coming out to the gigs. Friends of mine that play on 6th Street say the bars are starting to pick up again. A lot of people are starting to come out. Maybe that’s a positive thing. The main thing I notice is that the cost of living has gone up and gigs are still paying the same. AustinDaze: You are always working, and have so many residencies in town. Do you have a favorite that you like to play? Willie: Like what’s my favorite residency? Oh boy, that’s a slippery one. Like I said, I wake up every day and I’m excited about the night to come. Every night I’m excited to play. My newest gig is with Tameca Jones. And it’s such a different thing than I’m used to playing. That one’s fresh for me. I’ll say that. I look forward to that because that gig pushes me in a different direction than I’m used to playing. I’ve definitely been having a lot of fun playing with Tameca. AustinDaze: Do you still play with Little Elmore Reed Band at the…? What’s up with that? Willie: Yeah, Little Elmore Reed Band is still playing. The building is now called the King Bee Lounge. It’s actually a really cool spot. A lot of people are starting to show up to that. They got a full bar now. And pizza. They make a great pizza over there. That’s on 12th and Chicon. We play there Mondays from 10 – 1am and it’s really been picking up. It’s a great new venue. AustinDaze: So you play a lot of different types of music? Willie: I do. Like I said, I’m based on blues, but I get away with playing bluegrass and swing music. I’ve played a lot of swing in my day. I’ve dabbled a little bit in jazz, but I can’t say I’m a jazz guitar player by any means. Rock n’ roll, I really like playing rock n’ roll. I just love so many kinds of rooted music, you know, so I’ll give anything a shot. AustinDaze: You’ve done a little songwriting. Are you doing any now? Is that something that just comes and goes? Willie: It does for me. I don’t call myself a songwriter by any means. I’ve co-wrote a handful of songs with Warren Hood, and it really worked out. And I’ve got a couple more songs I’ve written recently. But I don’t consider myself a songwriter. They just come to me. I can’t just sit down and say, “OK, go!” I’ll just sit there all day. But every once in a while just a line will hit me, or a melody will hit me, or I’ll just be noodling around on the guitar and all of a sudden go, “Wait, that’s kind of a cool hook.” So I’ll start there. AustinDaze: Can you tell us more about what is special about the people you play with here in Austin? Willie: There is just a beautiful community of people and musicians in Austin. The cool thing is like people elsewhere, they get real competitive with each other. You go to Nashville, or LA or New York, it’s a competitive thing. People want to put other people down. You can tell when a musician is not from here. They come here and kinda like put everybody down. They soon learn that its not that way, you don’t have to be that way. People here, they just support each other. We all want each other to do well. Genuinely. When we see Gary blow up, everybody’s so excited about seeing that. Because we think he represents us. He came from the same soil as all of us. That’s how we look at it. AustinDaze: You certainly see a lot of collaboration in all genres of music in Austin, but the blues community is especially tight it seems. I don’t know if that’s because I see more of y’all because of my particular focus on Austin music. But it seems like the way that group is a circle of people that play in all sorts of combinations of gigs. Not only that, but are out supporting the same people. Like if you were to go see Jimmie Vaughn at the Gallery, you would know certain people would be there. Because it’s like a community center. Willie: It is. After Clifford died, and Antone’s is, well I don’t really know what Antone’s is right now, the rumor is its coming back, there was kind of a lull in the blues scene and people didn’t know where to go. It kinda got weird for a while. But now its great, there are so many players, of all ages, but young guys especially, coming up in their 30’s. It’s great. There’s a lot of us now. I think the Austin blues scene has really had a resurgence. You’ve got the Keller brothers here. You got the Muller brothers here. All that came from Antone’s. Once that club kinda stopped existing for a while, things got scattered for a little bit. But now I feel its really coming back strong. Especially with guys like Gary doing really well. AustinDaze: What kind of wisdom can you offer to other musicians out there? Willie: Just remember that the music itself is the reward, not necessarily making a bunch of money and “making it”. I don’t even know what “making it” is. I’m just so grateful just to get to play. At the end of the day, it’s like, wow, I spent my whole day making music. That, in itself, is the reward. Not being on The Voice, or whatever’s popular now, I don’t even know what that is. AustinDaze: How do you stay healthy when you are on the road? Willie: That’s hard. Actually, when I’m on the road, that’s when I’m not healthy. Because you are stuck with gas station food and fast food a lot of the time. Warren always tries to find a good salad bar somewhere when I’m out with him. But I guess the answer to how I stay healthy on the road is staying healthy at home. That’s really the only way to do it. And try to get a lot of exercise. AustinDaze: What is a favorite gig or venue that you’ve played? Willie: This year, playing with Lazy Lester at C-Boys is definitely on the top of my list. We had so much fun with that. I’ve played a lot of gigs in my day, but as far as cool factor, that’s the one. 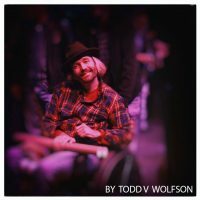 AustinDaze: Steve is really holding it together a lot for musicians. A lot of y’all really get to play a lot at Steve’s clubs, like the Gallery, the Continental and C-Boys. Willie: Yeah, I really think that Steve has really held Austin together with all this change going on, all these clubs closing. Steve is really the main guy here in Austin that’s really keeping it alive. Once he opened C-Boys, it was like “Finally, score one for the good guys.” Because all these things were shutting down left and right. He’s really done a lot for the Austin music scene. He’s Number One. It’s like the Continental Club, all those guys are like a family. It’s a beautiful thing. AustinDaze: Can you tell us about your most epic gig? Willie: Let me think. I’ve done a handful of Austin City Limits music festivals. I think I’ve played that three times. And that’s always fun. Last year, I played Blues on the Green with Tamika Jones. And that’s a lot of fun, because you are the only stage playing. And you’re playing for I guess 10,000 people. That was a lot of fun. I’ve played the Moody Theater with Hayes Carll last year. That was a lot of fun. AustinDaze: And the Brew Birds are playing tonight, right? Willie: I don’t think we’re on for tonight. But yeah, the Brew Birds is a really cool band. We’re backing up Warren Hood. You got Warren Hood and his cousin Marshall, so you got that cool family thing going on, myself, Nate Rowe, and Baby Elvis aka Jordan Cook on the snare drum. That’s a cool thing. We play Strange Brew once a month. It’s a really cool acoustic band. I definitely recommend. We have a lot of fun. And it’s really nice to be able to listen to Warren. He gets to play a little bit more fiddle and gets to sing a little more because it’s not a loud rock n’ roll band. So I highly recommend that show to anybody. AustinDaze: How did you meet Warren? Willie: We were just talking about that the other day. I met Warren when we were in a band I mentioned earlier, I think it was the James Hyland band at that point. We were in our early 20’s. A friend of mine’s mother knew Champ Hood and was a big fan of Champ Hood and the Threadgill Troubadors. We were playing country music, trying to. And he mentioned that there was this kid named Warren who was looking to play fiddle. So I met Warren at the Music Lab on Krebbs Street on South Congress. The funny thing is we were in there drinking beer and smoking weed, and here walks in this 15 year old, scrawny, dorky kid, with his shirt way too big for him, walks in with his fiddle, and we didn’t know what to think about him. He looked like he was 12 years old. We’re like, “OK, plug in, let’s play.” And he started playing, and he was really into classical music at that time, so he had a really interesting approach at first to the music. We all did, it was cool, because I had never played in a country band at that point before either. We all learned together. We all came up together. Me playing music with Warren, it’s just like talking, because we learned together. We both influence each other still to this day. It’s just an amazing thing. I’ve traveled all over the country with Warren with different bands, with the South Austin Jug Band and later on with his own band. It was probably like 1999 or 1998, something like that if I remember, when I first met him. 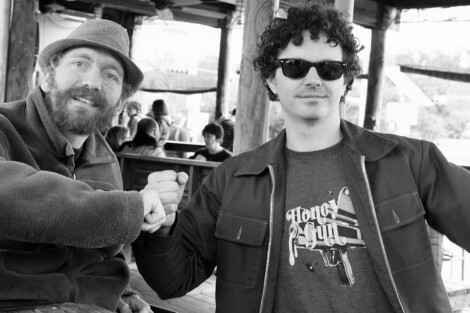 AustinDaze: Were you going to Antone’s and watch the Keller brothers when you first started going to Antone’s? Willie: I was yeah. I used to go and watch the Keller Brothers all the time. I used to be scared of those guys. Because I was shy when I was like 16 or 17. I would watch Mike Keller burn the guitar in half every night. AustinDaze: How were all those high school kids getting into Antone’s? Willie: I don’t know. You’d have to ask those guys. Those guys are from Fargo. Right out of high school they came down. They just moved to Austin to play at Antone’s. AustinDaze: They must have had some special nose for talent. Or maybe it was an attraction? Willie: It was an attraction. That was a serious place to play. Everybody in the world wanted to play. It was #1 at that time. The #1 club in the country for blues. I was just grateful. I would just drive down there by myself. Right when I got my driver’s license, I would drive to go to Blue Monday at Antone’s by myself. And they would let you in because it was all ages. So I would do that. It was like going to school for me. Every Monday I would go see Derek O’Brien. I remember one time it was me, my brother and one table behind us watching the Blue Monday Band. And that table behind us was Willie Nelson and his family. And he got up and played a whole entire set with the band, just for me and my brother. That was unbelievable. AustinDaze: That’s a good place to end there. There’s your epic story. Which brother? Willie: My older brother, Eric. I used to live with him right out of high school. I would drag him. He loved it. He’s not a musician, but he loved it. He would come up there a lot with me. That one particular night, we’ll never forget that. AustinDaze: One of the sponsors of Sundaze Conversations is the author of this book, The Rockstar Remedy and Gabrielle Francis wanted to give you a copy. Willie, great guy great player–awesome interview!